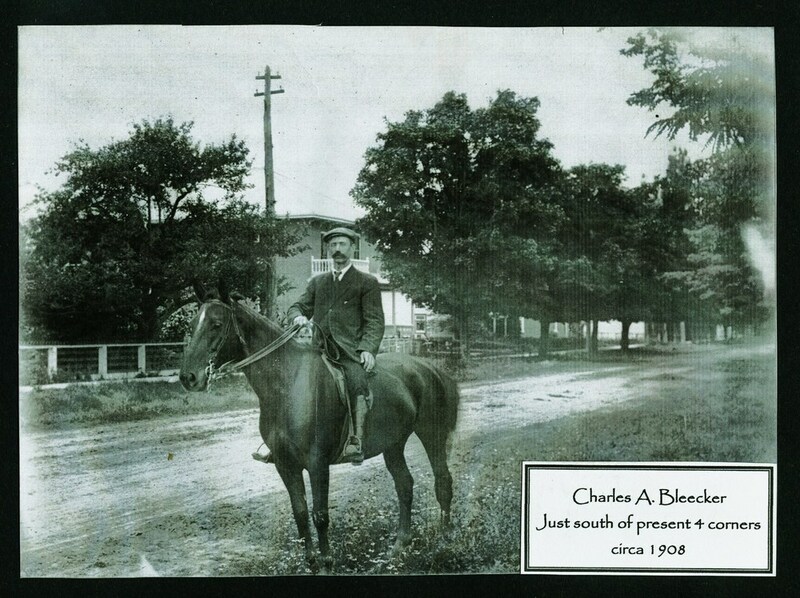 The story of the Bleeckers in Marmora begins in the 1850s when George William Bleecker arrived with a wagon load of goods from Belleville to set up business. According to Howard Bleecker, interviewed in 1978, George William married a "local girl", Sarah Mariah Johns, daughter of Bartholomew C. Johns. They boarded with Mrs. Brady, but by 1857 they were living and running the hotel (The Parkin House) They had nine children, several of whom died in infancy. Gilbert Bleecker, who referred to "Sarah Mariah - The Bed's on Fire!". He was a jeweller in the U.S.
Frank "Pete" - moved to the U.S.
George had bought the "hotel", now known as the "Parkin House", where he lived and ran the hotel. There he and his wife lived for twelve years and had the first five children. They later built the brick house beside it, where they lived before turning it over to their second son, George Bartholomew Bleecker, in 1890. Another son, Fred William Bleecker built a home at the N.W. corner of Madoc & North Hastings Street, which later became the United Church Manse. It is now a private residence. Howard continued in his 1978 interview. "My grandfather (George William) started with a small general store, but I don't know where it was. A little later, he built and ran a store for many years where the Embers restaurant is now. There was that building, there was the big house which was his hotel and home (Parkin House) and the brick one. So there were only three buildings there at that time. In fact, when I first remember it, that's all there were. There was no building on the corner. I think the Sweets built the corner building in 1912." The first child born was Charles Archibald Bleecker, Howard's father. Together, George William and Charles Archibald were in business in town, and were Treasurers of the Township and the Village until 1945. 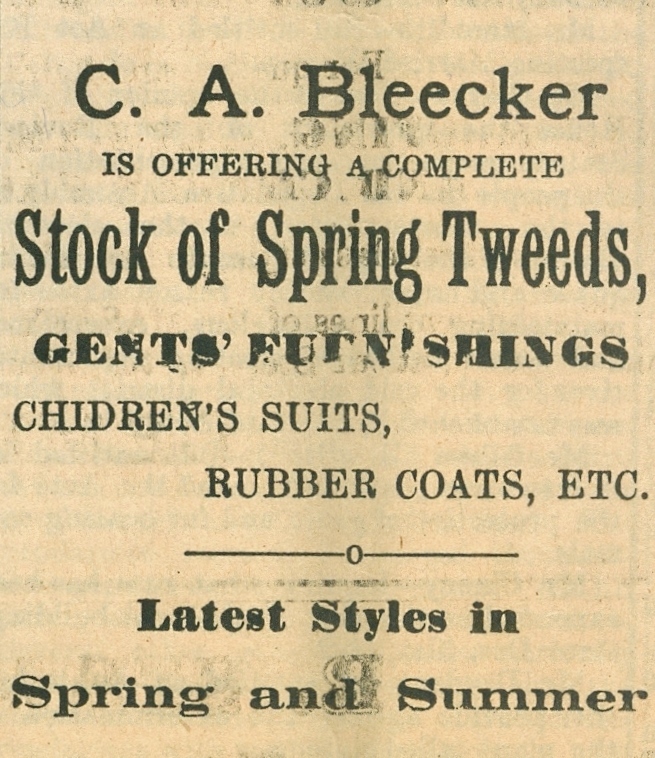 Howard continued - "After Charles A. Bleecker went out of the tailor business, he went into the insurance business and was also the Treasurer of the Township and later the Village. From the 1860's or 70's, the Treasurer's job was either my grandfather's or my father's, until 1945. My father was also the agent for the Canadian Pacific in Marmora, because we used to do a lot of rail business. The C.P. Station was in Bonarlaw. The Marmora station was C.N., but there were two or three trains through here daily. The C.N. Station used to handle the business for Deloro. There was also a spur line running off the main line, which ran up into Marmora and continued up to Cordova, used for bringing in freight." In Feb. of 1886, Charles Archibald Bleecker married Cora Alice Powers (March 27, 1865- Dec. 12, 1951). She was the daughter of Amos Powers and Dinah Burton, and her siblings were Addie (Adelaide), Albert who lived in Oregon and Lucy Shepherd of Windsor, Ontario. Ernest Carley Bleecker, known as Carl(March 20, 1887 - Nov. 23, 1913. 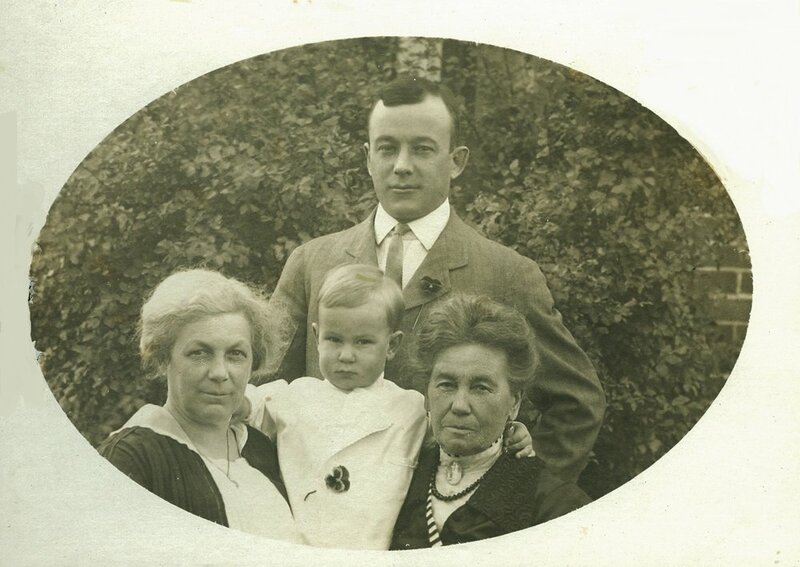 Carl lived with Aunt Addie (sister of Cora) for high school in Brockton Mass., USA, and attended Harvard in Forestry. On March 28, 1907, the Marmora Herald wrote that Carl "has finished his first year examination at Harvard University. He won a scholarship of $150.00 and his standing was so excellent that he has been advanced a year in his course. 3. CHARLES HOWARD BLEECKER, known as "Howard", son of Charles Archibald an Cora Powers Bleecker, was born in 1902 in the home he always knew on the S.E. corner of Madoc & Victoria Streets. 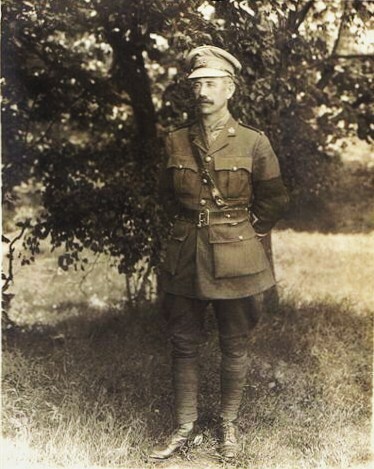 He left Marmora in 1915 to attend high school is London, living with Dr. & Jen Fidlar, and with Dr. Carmichaelin Peterborough for grades 11 & 12. . He worked for two years as an office boy at Deloro and then attended Queen's University, returning home in the summers towork at the Deloro Smelting plant. Bleecker ohome on the S.E. Corner of Madoc & Victoria Streets. In the barn at the back of this house, Cpt. Charles Archibald bleecker stored the uniforms for the W.W. 1 recruits. Miriam Savage worked for Sun Life, coming to Marmora from Montreal after her parents died. Howard Bleecker brought her from Montreal to act as a housekeeper for his parents. She lived with the Bleeckers for 27 years, assisting at home and later in the Bleecker's office (CPR ticket agent, secretary for hydro and the insurance office). Upon the death of Howard's parents, Miriam was given the Bleecker business by the Bleecker brothers. She eventually bought the building at 3 McGill Street, which later became the Marmora Herald office, maintaining the business and living upstairs. In addition to all the above duties, Mariam was also the Village Clerk. Pearl McCaw Franko wrote: Miriam was a lovely woman. Once a month as a young child I visited her to pay our $5.00 a month rent. She let me type on her extra typewriter, a thrill for me. Above that desk was a sign, "don't take life too seriously as you'll never get out alive anyway." When I went in training to become a nurse at 17 she was very encouraging and one day gave me $100.00 which to me at that time was an absolute fortune. She said let me know how you're doing once in a while but remember, "mum's the word" meaning it was our secret. I still consider her my guardian angel.